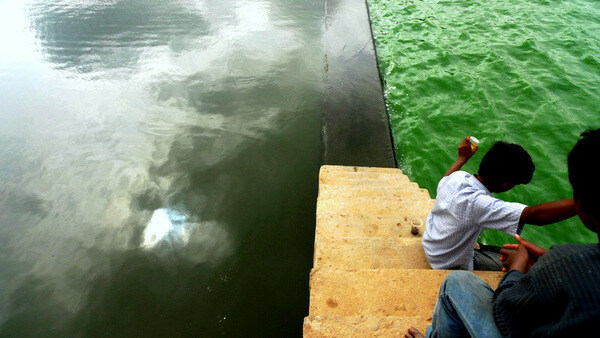 Raw sewage flows into Bangalore's main water body - Ulsoor lake. It is allowed to settle and aerate in the portioned off side on the left. The water then spills over to the right. 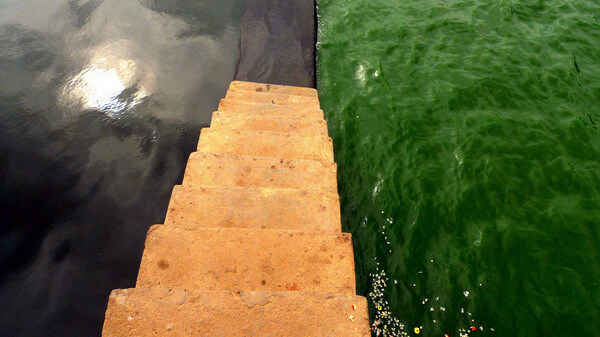 The algae-rich green water body of the main lake. The boy is fishing in the main lake. The fish will make its way back to a pot somewhere around the lake. That will complete a cycle. Yes, we harvesting what we sow.